The beautiful Riga, capital of Latvia and the biggest city of the Baltic States, is still unexplored terrain for many international tourists. Founded in 1201 Riga has a rich history and, thanks to its location at the crossroads between Western Europe and Russia, it has always been a cosmopolitan city. 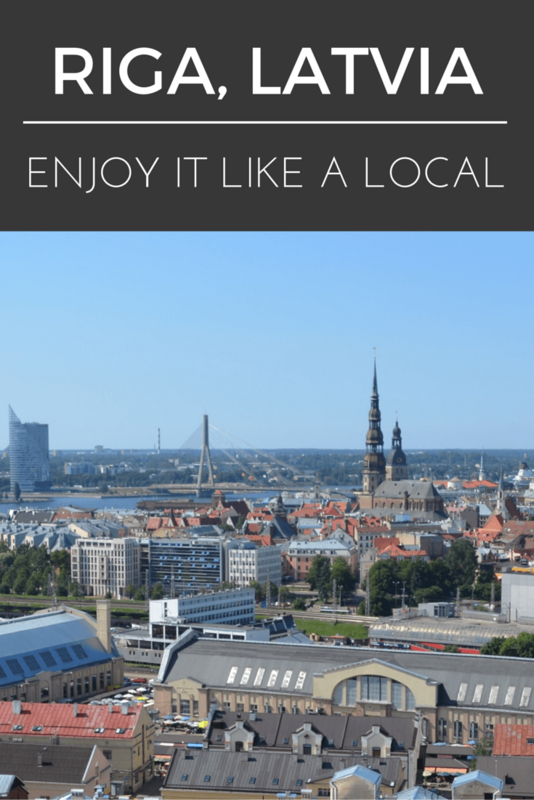 I’m probably a little biased as it is the place where I was born, but Riga is definitely worth a visit if you’re considering a trip to Northeast Europe. The two parts of the city that are a must for every visitor are the medieval Old Town, and the Art Nouveau district with its magnificent buildings decorated with elaborate flower designs, naked maidens, gargoyles, and other mythical creatures. But, if you want to truly experience this diverse city, there are many gems off the beaten path that will make your visit memorable. Once you have explored the Old Town, cross the cable bridge to the left bank of the river Daugava and turn right into the small riverside street. You will be treated not only to scenic views across the river but also to sights of something typical to Riga – gorgeous Nordic style wood buildings. And if you want to see even more beautiful wood architecture nearby is the Kalnciems quarter, known also for its Saturday market that sells everything from local produce to hand crafts and jewelry. Speaking of markets, a visit to Riga’s Central Market is a must for all visitors. Housed in old Zeppelin hangars, the market is (quite appropriately) nicknamed the “belly of Riga”. Once you have enjoyed the bustle of shopping and sampled some local delicacies in the market, you can visit the nearby warehouse quarter – Spikeri – that is home to a bustling cultural scene or take an elevator to the top of the Academy of Sciences building for unbeatable views of Riga’s skyline. Believe it or not, less than half an hour tram ride (line Nr. 11) will take you from the busy heart of the city to a district whose name is, literally, the “forest park” – Mezaparks. The vast park area is basically a large pine forest crisscrossed by walkways that borders one of Riga’s biggest lakes. Here you can go for a leisurely walk, have a picnic at the beach, visit the zoo, or rent rollerblades or a bicycle if you’re in the mood for a more active pastime. One of the most fun ways of learning a little about Latvia’s history is by visiting the Ethnographic Open Air Museum in the outskirts of Riga. Here you can explore over 100 traditional buildings from all corners of the country that date back as far as the 17th century. Throughout the year the museum hosts various folk celebrations, art and craft workshops, as well as other fairs and festivals so it’s always worth a visit! I once read that Riga’s café-going traditions date back to the time of the Great Depression when, pressed for money, the locals still wanted to go out and enjoy life so they skipped the pricier restaurants and chose cafes instead. I don’t know if this story is true but you can find great cafes on almost every street corner. Just choose one that looks inviting and enjoy some mouthwatering pastries and cakes. If you’re looking for a good coffee the Innocent Coffee Masters and Rocket Bean Roastery are current local favorites, whereas quality teas can be enjoyed at one of the Apsara tea houses. Latvian cuisine is often described as “peasant’s food” and at a first glance it may appear that potato and pork dishes dominate the menus. But you don’t have to look far to discover that various fish, mushrooms and berries from the local forests, a wide variety of dairy products, and great bread are also among the foods Latvians love the most. In Riga there are numerous good restaurants of contemporary Latvian cuisine that combine innovative cooking with local and seasonal ingredients. Enjoy! If the weather is nice and you feel like wandering further afield, take a train from the Central Station to Jūrmala – the nearby seaside resort town. 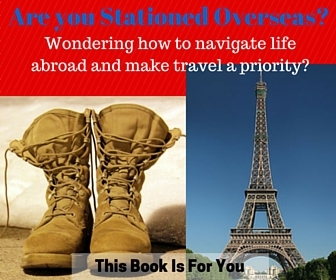 The trip there takes only 30 minutes and costs less than two Euros. Get off at the Majori train station and walk down the shopping promenade to the gorgeous white sand beach typical to the Latvian seaside. In Jūrmala you can also pamper yourself in one of the SPA hotels, have fun at the water amusement park, or simply relax in an outdoor café or restaurant. Riga is a great city for going out and, since a lot of the pubs, bars, and clubs are located either in the Old Town or close by, it’s easy to hop from one place to the next. The locals like to start the night by warming up in a bar or two, then go to a club for some dancing, and finish with an early morning snack on their way home. For listings of great places to go to consult this guide to Riga nightlife. Singing and dancing have a special place in the Latvian culture and history, particularly choir singing is almost like a national hobby. This can be best evidenced in the Song and Dance Festivals that take place every five years and have around 30 000 participants. While waiting for the next festival that is coming up in 2018 you can experience the musical side of Latvia also in other ways. For example, by going to a music concert or attending a music festival during your visit, or by participating in the Midsummer celebrations in June or the Riga City Festival in August. Riga is located right in the middle of Latvia which means that you don’t need more than one or two hours’ drive to see more of the beautiful Latvian countryside. You can visit medieval castles and baroque palaces, explore one of the national parks, enjoy a cycling tour, or go for a canoe ride on one of the rivers. All you have to do is get out of the city and go for a little Latvian adventure! Have you been to Latvia or Riga? What was your favorite part about being in such a beautiful place? I am one of the lucky ones who has been to Latvia and really enjoyed Riga. I totally agree that the Central Market is not to be missed (it’s totally massive and ridiculous) and the food in Latvia is hearty but so freaking good. I never made it to Jurmala but did venture to one of the pretty nearby national parks, which was really fun, and a great way to spend a day! Ills, thanks for sharing this. I have been trying to convince Jo, my wife, that we need to visit this part of Europe, with little success. Maybe, your article will be what it takes. Thanks. As a Holocaust educator, hearing the name Riga elicits powerful painful images. I love knowing the the city and its environs has so many lovely locations. The lakeside pine forests and sandy seaside are especially enticing! I hope to make it to Latvia someday soon. Howard, I don’t know much about the Holocaust in Latvia, do you mind shedding some light on Riga? I had previously heard of Riga but didn’t know much about it. It certainly sounds like there is a lot to explore. We will need to plan for at least a couple of days to get a taste of the city. Thanks for the wonderful introduction to Latvia and Riga. Have to admit that I’m really interested in exploring Northern Europe, but not quite sure where to go. Given your post, I think Riga and especially the central market is a must! Thanks for the great post. Riga has never really been on my radar until recently. I feel like I’ve heard so much about Riga and now I really want to go! I love wood buildings, they bring out the earthly atmosphere out of your day. Your tips for Riga certainly sounded like a personal tour already, I love how you brought out everything out of every location. I’m all for medieval places as well, this is one chance I’ll definitely take in the future. 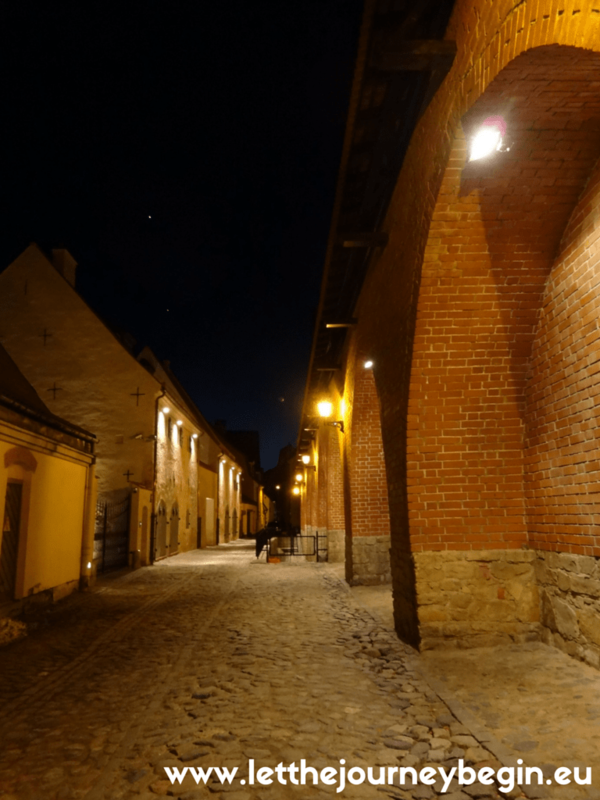 Riga isn’t somewhere I’d really thought about visiting – but your post is quite enlightening. I love the cross-over cultural influences from Russia and Western Europe – and the fact that the city is such a good hub for exploring the rest of Latvia. Off to find out more! This looks beautiful. I have never been. I would love to visit. The land that sings.